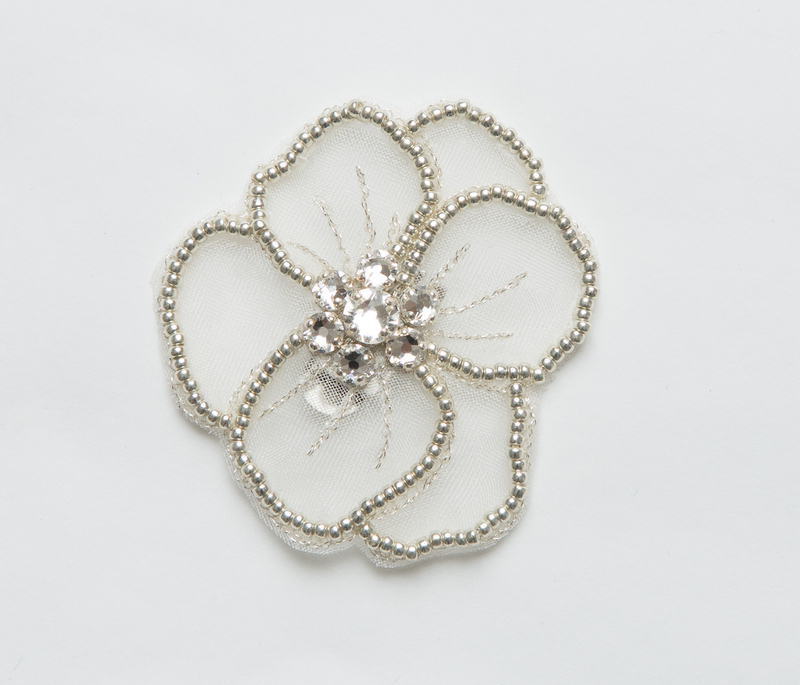 These dainty embroidered organza pansies are hand beaded with a metallic silver beaded edge and diamanté accent in the centre. 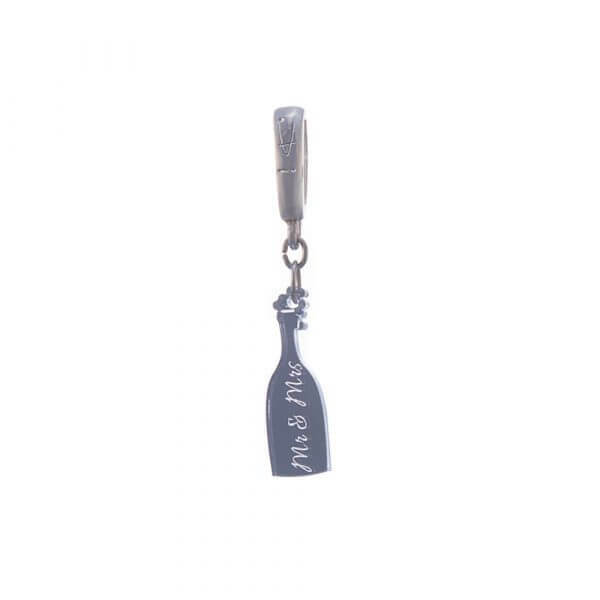 Isa is semi transparent so gives a delicate, ethereal finish and works on the front, side and back of many styles, and can also be added to a strap. 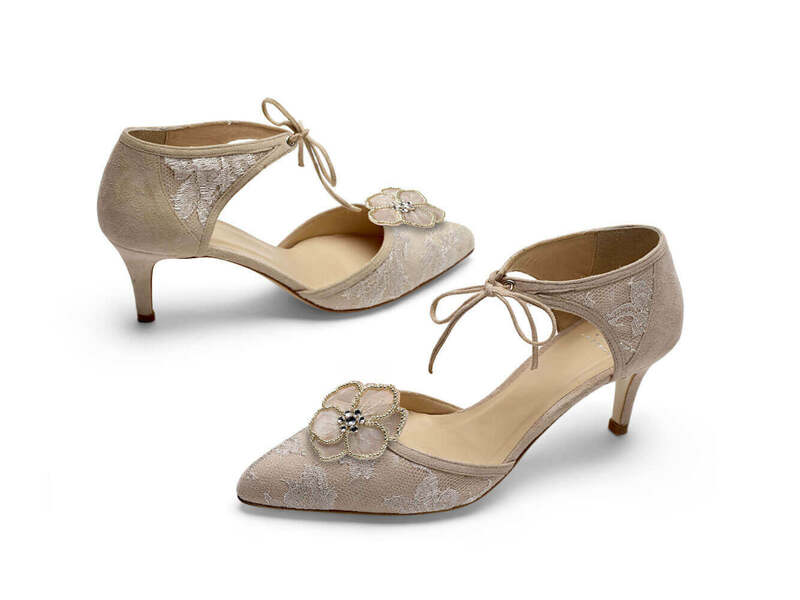 Hand crafted in the UK & supplied with silver coloured metal shoe clips or can be hand stitched to your shoe. The Isa accessories come in pairs. Blush pink and frosted, Sugar looks good enough to eat! 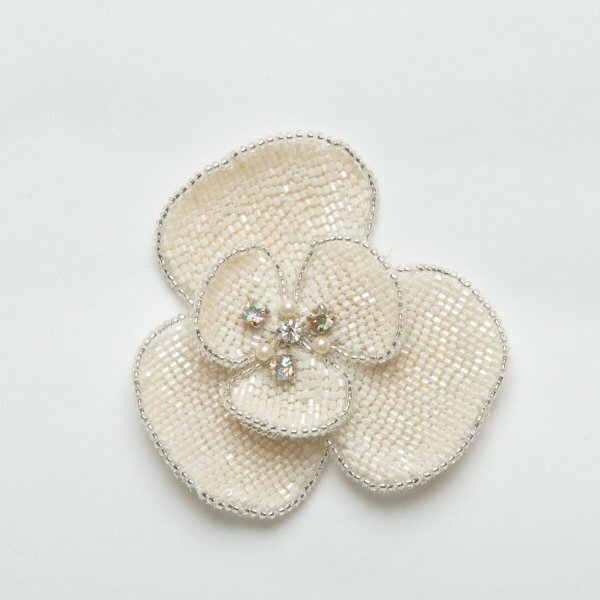 Pretty embroidered pansies hand beaded with blush coloured crystals and seed beads and finished with an ivory pearl, super pretty and feminine. Sugar works especially well on the front or sides of many styles. 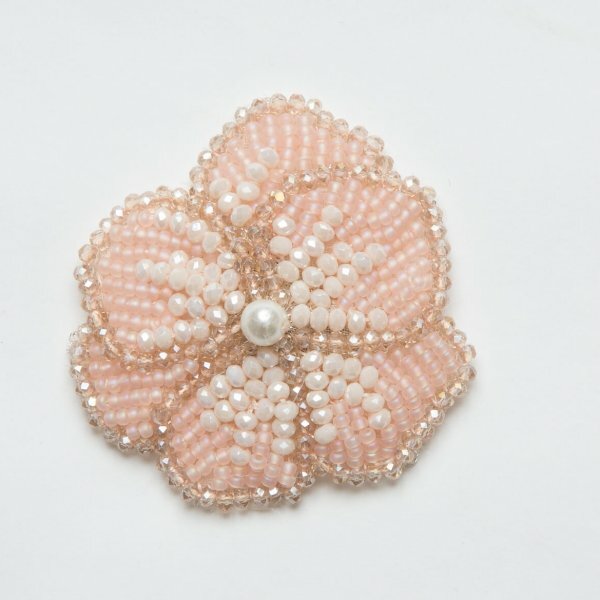 Lola is exquisitely hand beaded with tiny lustre seed beads and finished with silver accents. 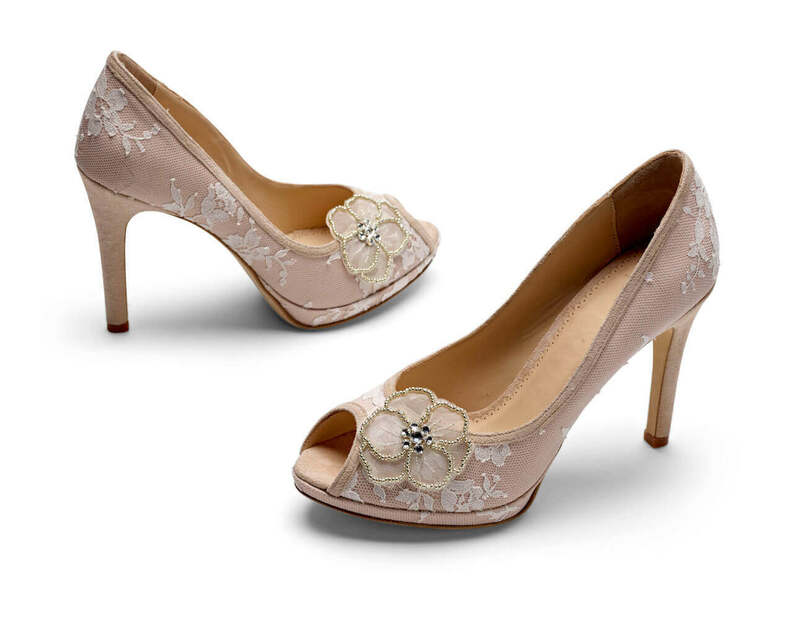 Two layers of petals give this lovely floral design a shimmering three dimensional feel, which perfectly accessorises many styles, when added to the front or back of the shoe. 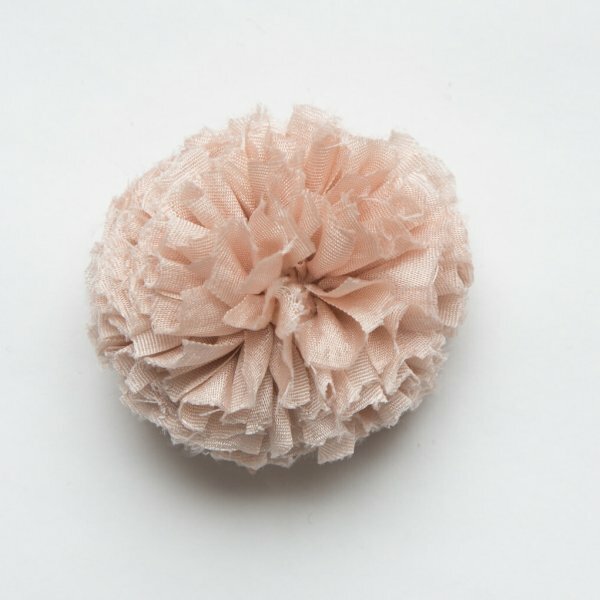 Quirky and fun, we at Diane Hassall love a Pom Pom! 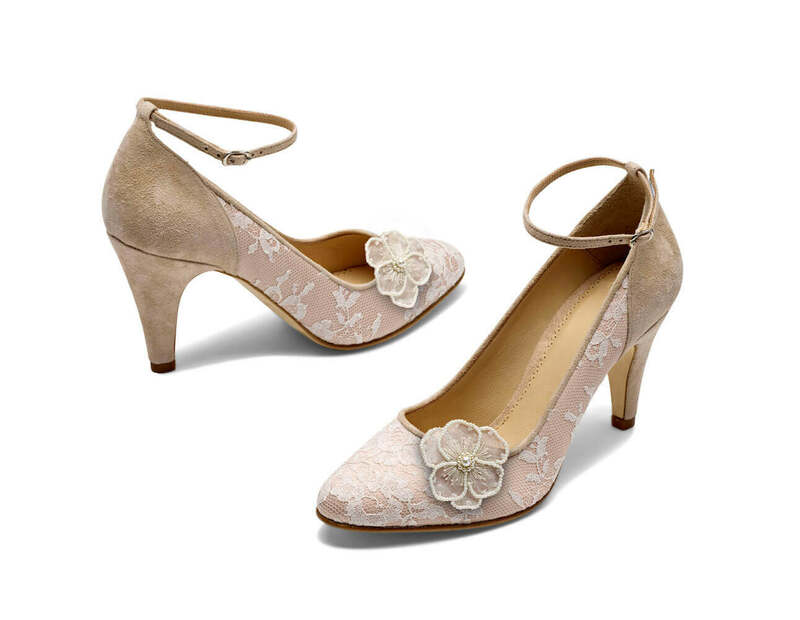 We hand make the Pom Pom in the finest pure silk ribbon, hand dyed to a soft shade of blush they add a unique twist to your weeding shoes.